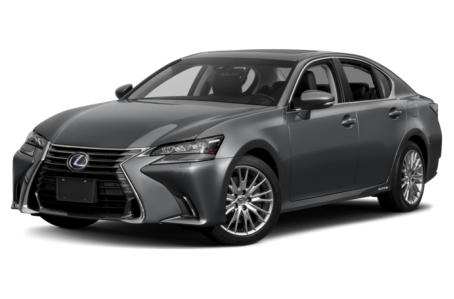 Sorry... the 2016 Lexus GS 450h is no longer being sold as new. The Lexus GS is a five-seat midsize luxury sedan. It comes with a choice of gas engines and is also offered as a gas-electric hybrid in GS 450h form. The V-6-powered GS 350 is available with all-wheel drive. Competitors include the BMW 5 Series, Audi A6 and Mercedes-Benz E-Class. A new GS 200t version is powered by a turbocharged 2.0-liter four-cylinder engine and has rear-wheel drive. The GS 350's V-6 engine makes slightly more power and torque. New front-end styling incorporates standard bi-LED headlights.